FULLY REMODELED! Enjoy the Desert Life! 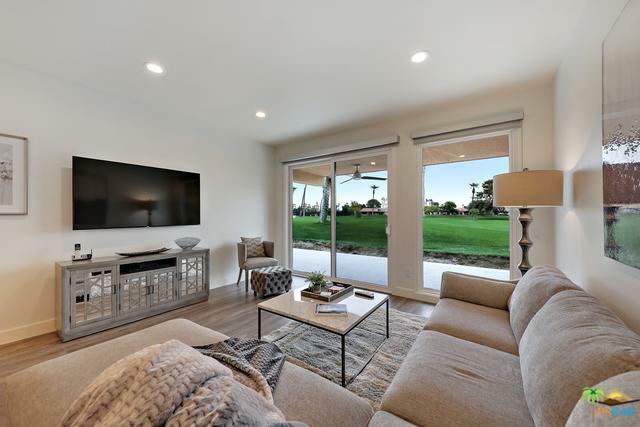 This beautifully remodeled 2 bedroom, 2 bath Granada Floor Plan in Sunrise Country Club has amazing views of the double fairway golf course from the living room and back patio, along with incredible Mountain views. So many upgrades throughout! 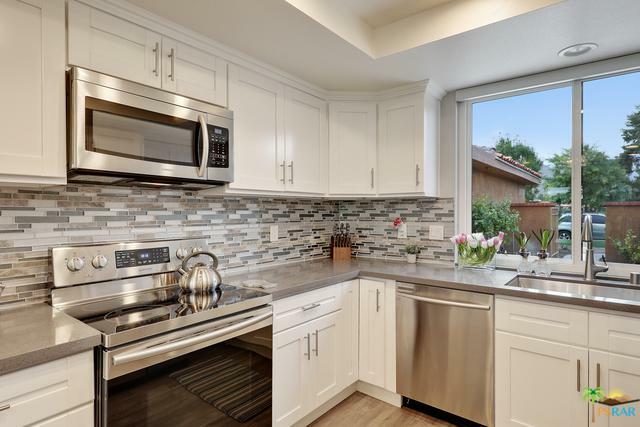 Open kitchen featuring quartz counters and stainless-steel appliances including a gas range. Both bathrooms feature quartz counters, dramatic floor to ceiling tile showers. Laminate floors, carpet and tile all updated through the house. Interior has all new Milgard windows and sliders. A complete renovation of the courtyard and extended back patio with tile. Patio furniture on both patios with water feature in courtyard. Finished garage with epoxy flooring. 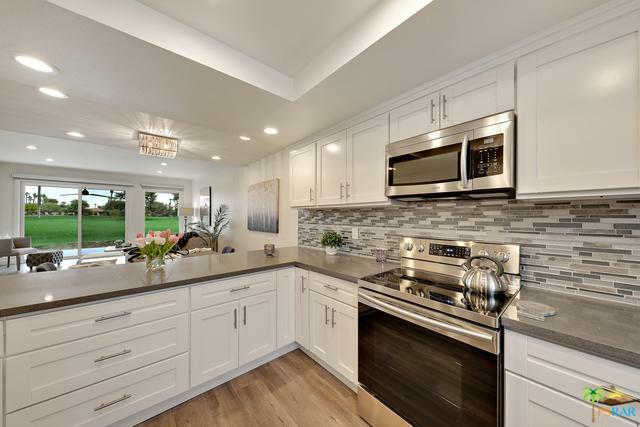 Washer, dryer, water softner, water heater all new.The rear patio allows for ultimate serenity as you take in the picturesque Mountains and golf course. 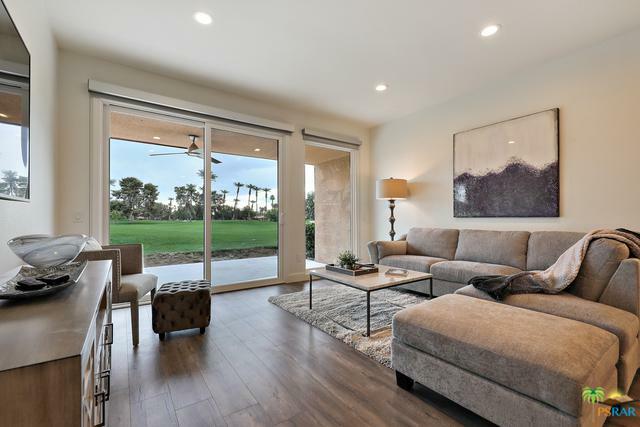 Sunrise Country Club is a guard gated community offering golf and an excellent tennis facility.